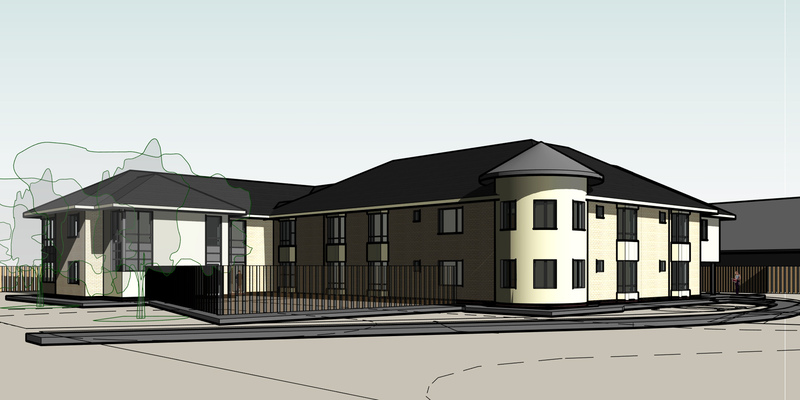 ACA are delighted to have gained another planning approval for a new-build Acquired Brain Injury Unit in Wisbech, on behalf of Swanton Care and Community Ltd. The design includes three ten bed wards with ancillary accommodation and ten independent living apartments. The £6m proposed development is part two-storey and part single-storey within landscaped garden settings. In the words of Dr Alison Rose-Quirie, CEO at Swanton Care and Community Ltd, “This was an extremely difficult planning approval process and we are delighted with the result. The level of engagement with local residents demonstrated ACA’s intelligent listening and understanding to address residents’ concerns with sensitive design solutions. We are particularly happy with the high-quality designs ACA have created to support our patients’ care pathways”.